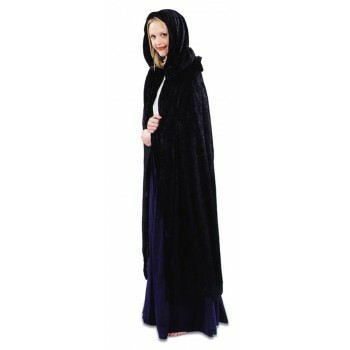 Draping, floor length, crushed velour cape with hood and shoulder ruffle. Available in black only. One size fits all.